(28-Sep-2013 08:39 AM)Dave H Wrote: Here Here Martin, get rid of it. I was talking about the underpass of course. Oh for crying out loud, surely it is the people who are likely to be using the bus station and live in the area who should be making their views known - not people who are extremely unlikely ever to use it or its replacement if it comes to that. The bus station could be turned into something that really benefits the city. 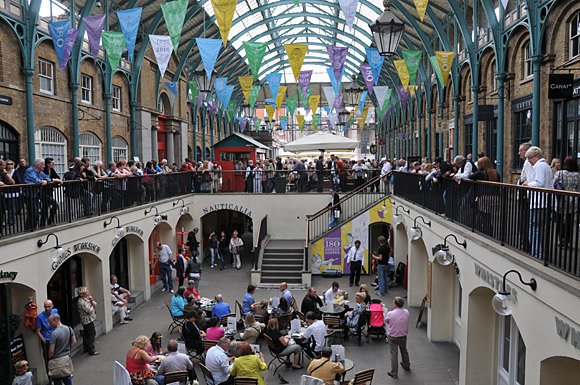 If you look at Covent Garden you will see what a little imagination can do. Before this debate gets any more childish with you Jim, If you read my back posts you will see I am Proud of Leyland and the area where I made a living for 46 years, 21 at Leyland Motors and for 25 years after with my own business serving the community to the best of my ability, you must study the history of this excellent forum more deeply before you make silly unfounded statements about individuals posting on this forum. I can only hope this puts an end to the matter.Leyland is the ancestral home of my family who served leyland for a century in the past.read my profile if you will, I have read yours and find no info. Well, at least the souvenir shop at the Bus Station is benefitting. An article in the current LEP says souvenirs of the station are flying off the shelves. Some of us can only hope that it's because a lot of people expect it not to survive and want something to remind them of it after it's gone! It seems almost too late to add my views but I'll try. I think that if Preston wants a bus station, it's in the wrong place! I pity any visitors who arrive by train and want to connect with the local bus service. I know there are signs on the railway station but most passengers simply pass them by. I've been asked a few times by train passengers how to get to the bus station. My view is that it should be relocated to the area behind the "shacks" on Corporation Street as it decends from Fishergate to the Ringway. I also share the original poster's view about the layout of bus stations. Herringbone layouts, where buses approach at an angle of about thirty degrees, allows the driver to move off without having to reverse - far safer. I've also seen Eindhoven's bus station which manages on far fewer stands as it's computer controlled and the incoming bus is directed to a free stand. Awaiting passengers wait in lines and go forward when the indicator shows which stand. They're light years ahead of us! I drove transit for a couple of years here on our County's system. A combination station was built for Amtrak trains, our local bus system and Greyhound. Passenger trains are infrequent - one a day each direction in winter and two a day in summer and it's a single track line. Greyhound has three buses a day in each direction and Skagit Transit has services from 04:30 through to about 23:00 weekdays and from about 07:00 to 20:00 on weekends. Many of them are every 30 minutes. The property the station is built on is hemmed in on the east side by the Interstate 5 freeway, by the County courts and jail, the railroad track and city streets on the west side and a State highway to the north. A road to the freeway runs across the south edge. The architects managed to squeeze the station building, an 8-place herring-bone bus platform and about 250 car-park spaces into the property. Bus timetables are staggered in such a way that there's usually no waiting for a slot for an incoming bus and they don't sit for more than a couple of minutes. The biggest hang-up is when slow freight trains come through the level crossings at each end of the property which most routes pass over. Current time: 24-Apr-2019, 01:39 PM Powered By MyBB, © 2002-2019 MyBB Group. Theme created by Justin S.